Please note: our May event will take place on campus at UC Davis, Voorhies Hall, Room 126. Voorhies is located on A Street between 1st and 2nd. 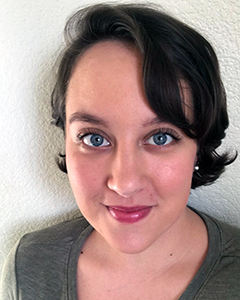 Jeanne Panfely is the winner of the 5th Annual Stories on Stage Davis/UC Davis Fiction Contest for her story “The Payphone.” Panfely is a fiction writer from Marin County, California, and a second-year MA student in the creative writing program at UC Davis. She has been previously published in Litro Magazine and was the recipient of the Walter and Nancy Kidd Prize. 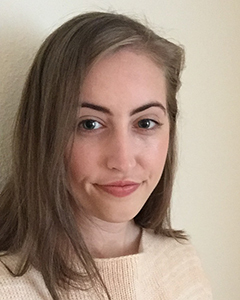 Mackenzie Nordahl is the runner-up of the 5th Annual Stories on Stage Davis/UC Davis Fiction Contest for her story “Lucky.” Nordahl is a fourth-year undergraduate at UC Davis. When she’s not stressing about graduating, she’s either playing tennis or trying out a new hobby. She is an English major with an emphasis in creative writing and a minor in Spanish. She aspires to pursue a career in education and is currently working as a pedagogy intern for the Play the Knave project, which has developed a video game about Shakespeare. She also works as a supervisor in a local pizza parlor. Nordahl is from Turlock, California. Veronica Jarboe will read “The Payphone” by Jeanne Panfely. Veronica has been performing on stage most of her life. Her favorite roles include Antonio in Twelfth Night (London Academy of Music and Dramatic), Nina inThe Seagull (Art Theater of Davis), and Faye in Just Say Yes (Theatre in the Heights). Other credits include My Fair Lady, Macbeth, andMidsummer Night’s Dream. Kellie Raines will read “Lucky” by Mackenzie Nordahl. Kellie is a local actor, director, playwright, and visual artist. 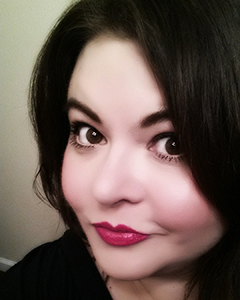 She is an Associate Artist with KOLT Run Creations, for which she directed The Adoration of Dora. 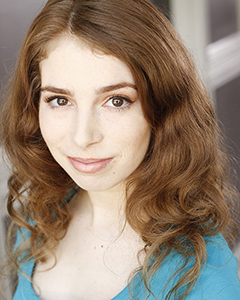 Her KOLT performance credits include Escape from Happiness, Vinegar Tom, Antigone, and My Own Stranger. Other notable performances include Motherf**ker With The Hat and The Underpants (Big Idea Theatre), Hamlet, Julius Caesar, and Macbeth (Theater Galatea), and God’s Earand Five Women Wearing The Same Dress (Resurrection Theatre). Raines has a bachelor’s degree in dramatic art from the University of California, Davis. She can also be seen on-air for KVIE Public Television. Her first gallery show opens June 2018 at Archival Gallery in Sacramento and will feature her fat, colorful bird paintings.